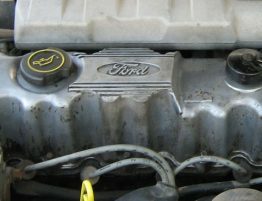 Ford 5.4 Triton - Spark Plug Blew Out of Cylinder Head - Really? Sounds silly until it happens to your truck. 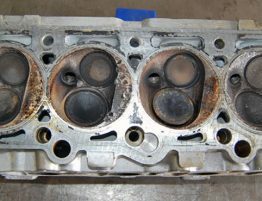 There is a problem with spark plugs just blowing out driving down the road. We’ll show you why. 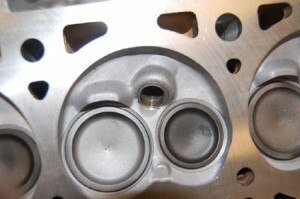 The picture above is a picture of the original spark plug threads on the 4.6 and 5.4 cylinder heads. 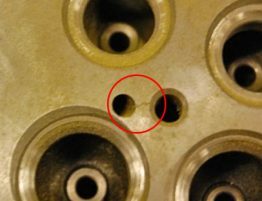 There are only 6 threads at the bottom of the spark plug tube. 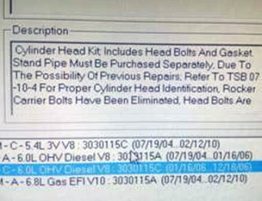 Interestingly enough, the replacement spark plugs only have that many as well. 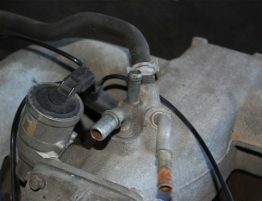 If the aluminum fatigues, the spark plug blows out. 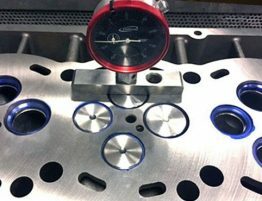 The solution for this issue with 5.4 Triton headsis a stainless steel insert that will permanently correct this from happening again. 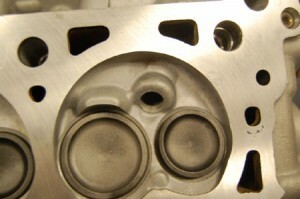 The cylinder head is machined so the entire O.D. 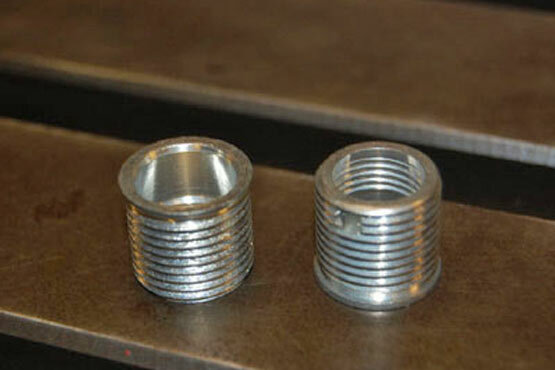 (outside diameter) of the spark plug hole is threaded to accept the new insert. 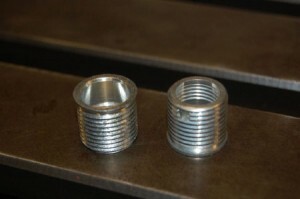 The one on the left shows the shoulder we machine for in the head for the insert to seat. 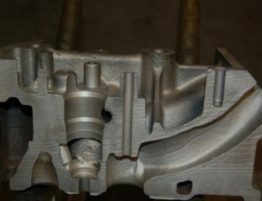 The one on the right show the tang, that once installed, is pressed or forced out locking the insert permanently.